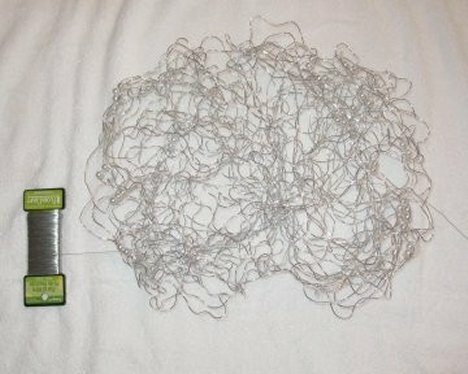 This Lomey bouquet collar isn't made out of satin or lace - it's made out of decorative colored wire! This collar has been discontinued by the manufacturer, so if you want to recreate this look exactly you should plan to purchase the collar soon. They are now available only in gold or silver. 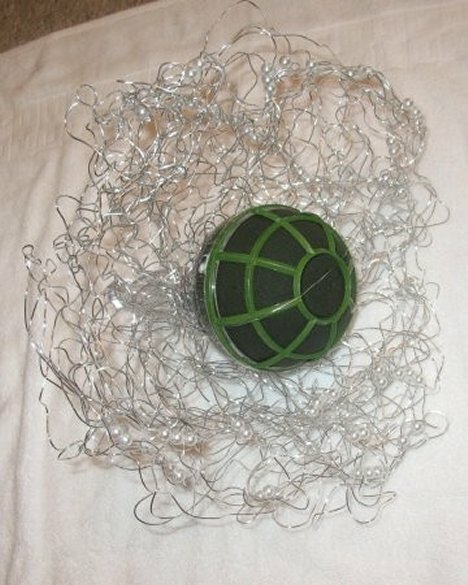 If you cannot find the collar, you can make your own with malleable Oasis colored wire. 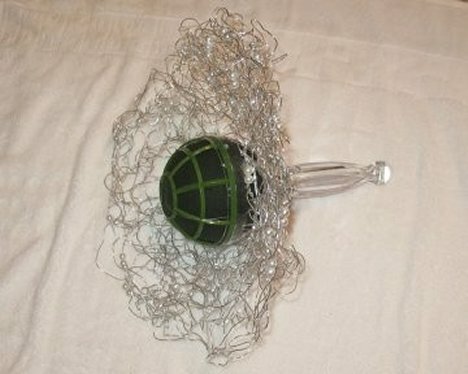 Simply crumple it up into a lightly formed ball and then flatten it out and form it into a round collar shape. I actually used TWO 8" wire collars for this bridal cascade. I opened the package and pulled the holder out of it's round shape into one that looks rather kidney shaped. Do this with both holders. 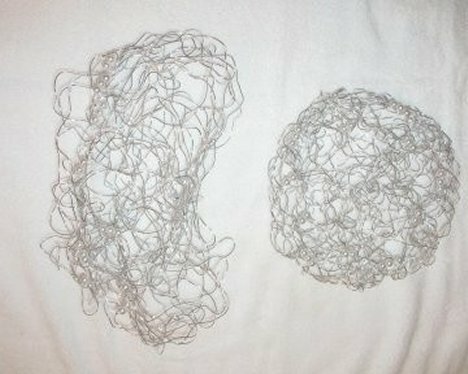 Using fine silver paddle wire, I attached the two wire collars together to make one very large, oval shaped collar. 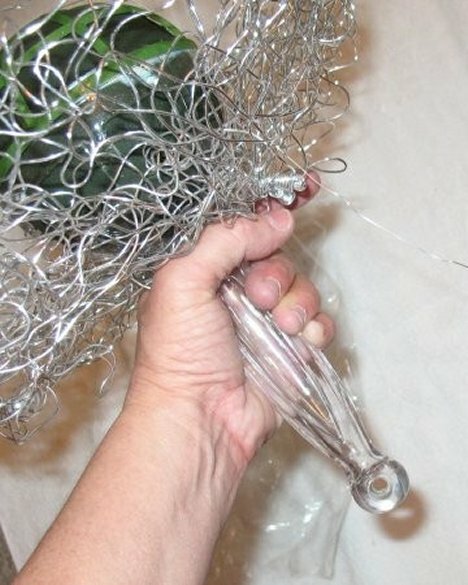 I slid my Gala Crystal bouquet holder down into the center of the large wire collar and wrapped some paddle wire firmly around the handle, thus attaching it to the holder. 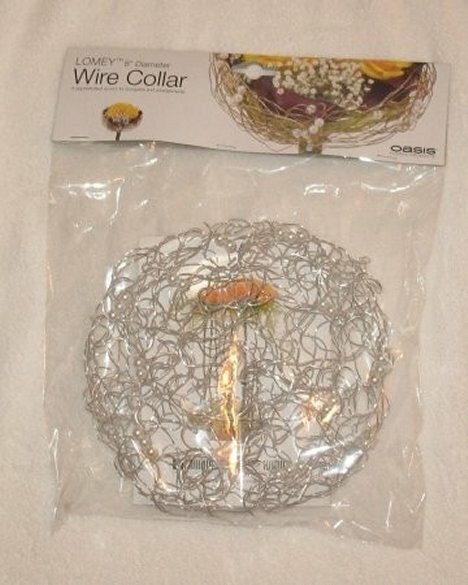 The wire collar needs to be extra large, because this is going to be a very large bouquet of white calla lilies. 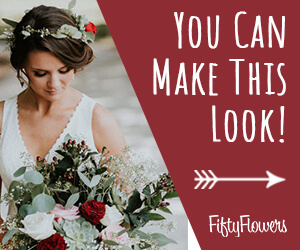 The advantage to these bouquet collars is that you can easily pull, shape and mold the collars to be exactly how you want the to look.